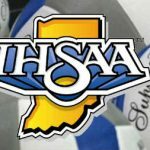 Thursday, October 6, 2016 7:30 PM Scottsburg High School AWAY 1 Jeffersonville High School HOME 3 Game Recap Jeffersonville defeated Scottsburg 3 sets to 1. The team recorded 40 kills, led by Bri Cochran’s 24 and Alayna Lacy’s 10. Jeffersonville had 76 digs: 19 by Lacy, 17 by Carly Calabro and 15 by Kelsey Luce.